German Business School organizes a seminar about Energy Management. 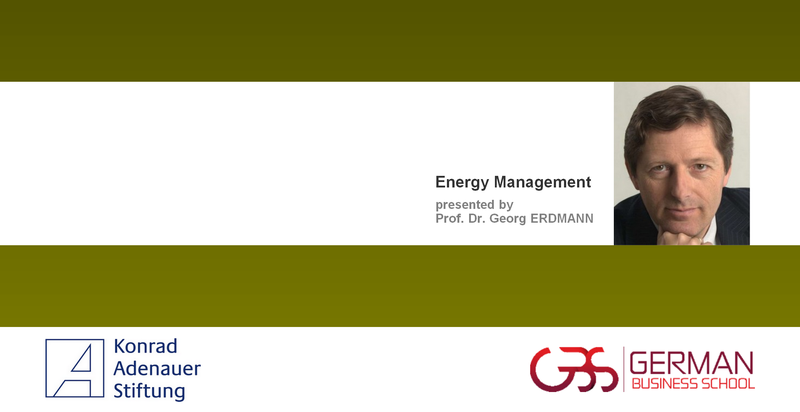 The GBS Energy Management lecturer, Prof. Dr. Georg Erdmann will be delivering the course. Understand the fundamentals of energy generation, energy transport and energy storage. This course will enable the MBA candidates to learn about the technological and political requirements for sustainable energy generation. They will assess the technological and political possibilities for the construction and operation of power stations and energy storage systems.